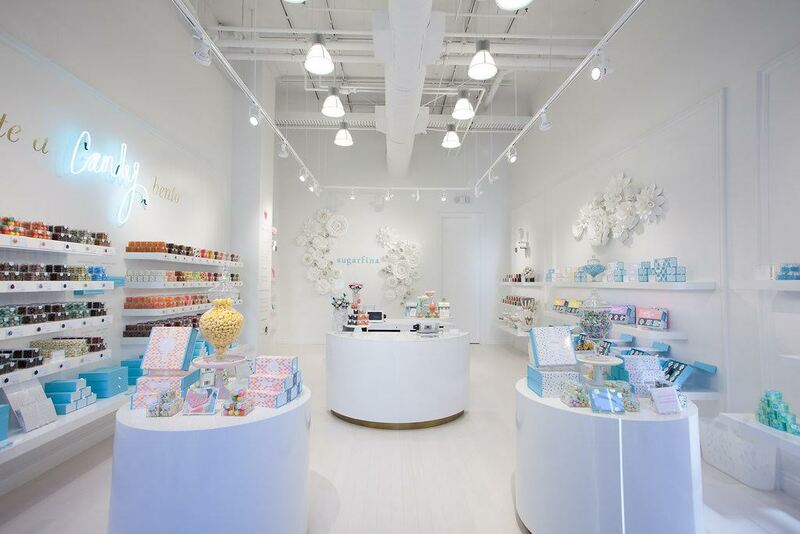 Sugarfina is an innovative candy store for adults featuring the highest-quality candies from around the world. They have everything from peach bellini gummy bears to Tahitian vanilla malt balls to 24K gold-coated Champagne marshmallows. Two thirds of what they carry are not available anywhere else in the US. Their Santana Row store will be the first in Silicon Valley and the only Northern California store outside of San Francisco. To learn more about the company, check out the press release below or visit their website over here. 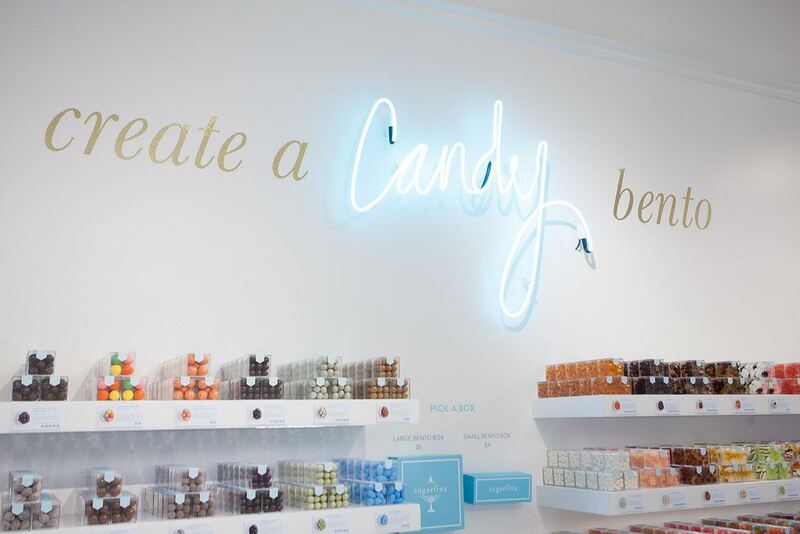 LOS ANGELES, CA – San Jose will get a little bit sweeter when Sugarfina, the world’s finest candy boutique, opens their doors at Santana Row on August 21st, the third boutique in the Bay Area. The store will feature the brand’s signature aqua Bento Boxes, a luxurious candy gift box, and encourage guests to customize their own box by selecting from over 150 candies from around the world, two-thirds of which are not available anywhere else in the U.S. Sugarfina candy consultants will offer complimentary samples and assist guests in choosing the perfect candies based on their taste profile. Sugarfina made its debut August 2012 selling its premium curated confections online – cocktail candies, including Champagne Bears®, Cuba LibreTM (spiced rum and coke gummies) and Peach BelliniTM gummies are top-sellers – and quickly flourished into a must-have high-end candy brand. Sugarfina opened its first retail store in Beverly Hills in 2013 and now has six boutiques in California. neon “candy” sign, and a statement art wall consisting of handmade white paper flowers, the perfect backdrop for a sweet selfie. “Design Your Own Bento Box” Wall: Guests can select an empty 8-piece or 3-piece Bento Box and build their own gift box from the wall of 125+ Lucite candy cubes. More than 2 billion custom bento box creations are possible. Top Shelf Candies: One area of the store is dedicated to "top shelf" candies -- exotic offerings from around the world such as Raindrops & Roses from Italy, Kyoto Blossoms from Japan, and interlocking chocolate wedding rings from Greece. Each candy will have its story featured alongside it in a beautiful display. 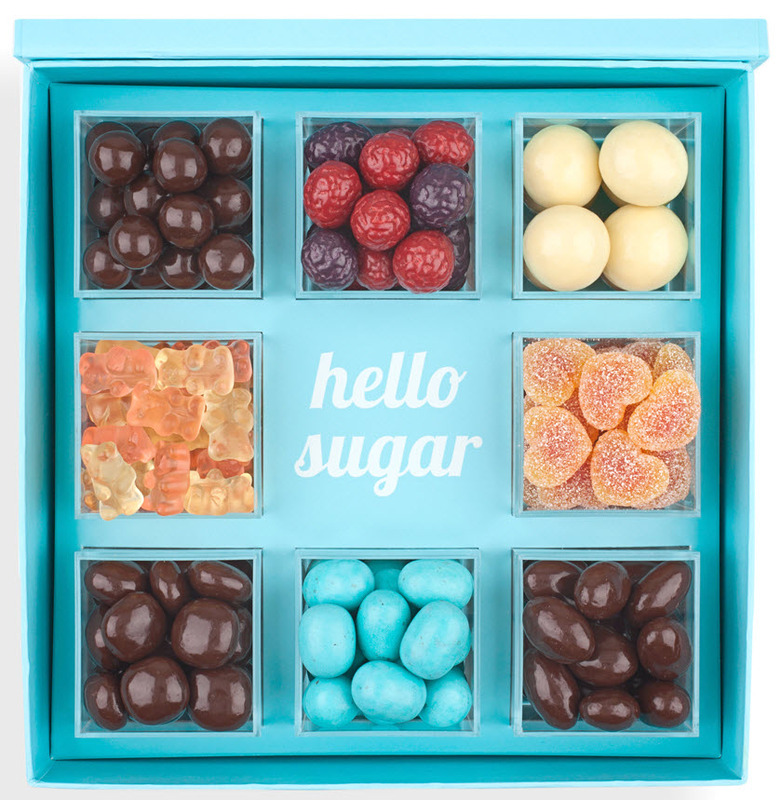 In-Store Sampling: Sugarfina associates offer two complimentary daily samples, with a selection that rotates weekly. In addition, guests may sample most candies in the boutique upon request. Candy Labeling: There will be an icon-based program that identifies which candies are vegan, vegetarian, gluten-free, fat-free, kosher, dairy, and all-natural. The Sugarfina boutique at Santana Row is located at 377 Santana Row, San Jose 95128, across from Ted Baker. Boutique hours are: 10am-9pm Monday through Thursday, 10am-10pm Friday and Saturday,11am-8pm Sunday. The store can be reached at 1-855-SUGARFINA. Sweethearts Rosie O’Neill and Josh Resnick have dreamed of opening a luxury candy boutique ever since their third date, a screening of Willy Wonka and the Chocolate Factory. They fell in love over the unique and delicious candies they tasted while traveling and were inspired to bring a new concept in gourmet candy to the United States. Having personally taste-tested thousands of candies from dozens of countries, Rosie & Josh consider themselves true “candy connoisseurs.” Before Sugarfina, Rosie and Josh had every kid’s dream job - Rosie was director of marketing for Barbie, and Josh was the co-founder and President of Pandemic Studios, a major video game developer. To learn more about Sugarfina, visit the company's website at www.sugarfina.com.